"fishing follows no rules, use your instinct to find the fish you want"
Hi guys! I am Stefano Zanardelli. My passion for fishing was passed down through generations; my family has made me experience this hobby since I was a little child.I had started fishing when I was 4 with just a rod and a floater, as the majority of anglers. After this long period spent fishing with my grandad, I started taking part in competitions, following my dad footsteps, with good results and precious memories of all those weekends finishing all over Italy.After starting working, I have abandoned this technique and the competitions and started my life as a spinner. 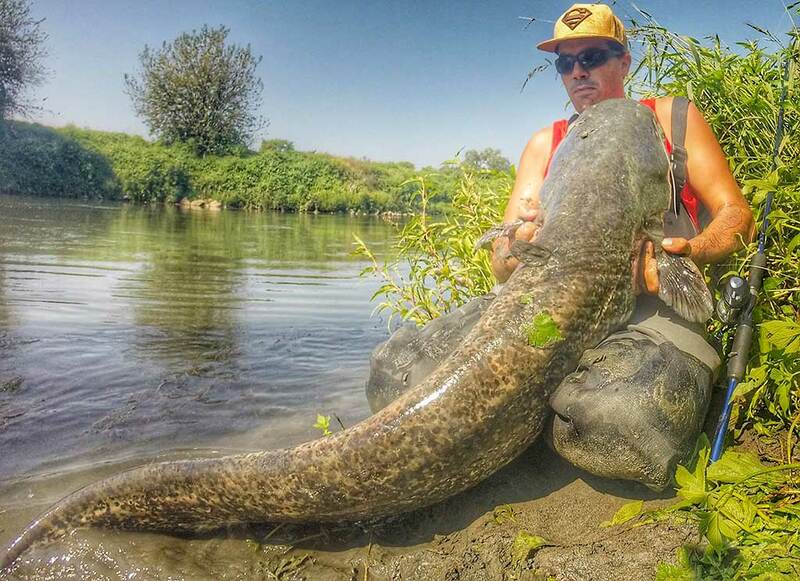 I don’t have a favourite prey, I love everything about fishing, from ultralight in small rivers to heavy spinning for wels catfish. I am particularly fond of this fish, and for this reason, I have founded with a group of friends the “Team Pegs”. With lots of patience, devotion and passion for this fishing technique I had the opportunity to cooperate with Pure Fishing and Wild Society App. How do I live my fishing life? My job and my family take most of my time, and for this reason, I always have a Combo and 4 artificial baits ready in the boot of my car.. 10 minutes or one hour, it does not matter, what matter is not to find yourself unprepared. new blog and video by our Ambassador, Stefano Zanardelli, while being out fishing for Asps.